We have been hearing rumors about a new camera from Nest and the company has now unveiled their new Nest Cam IQ. 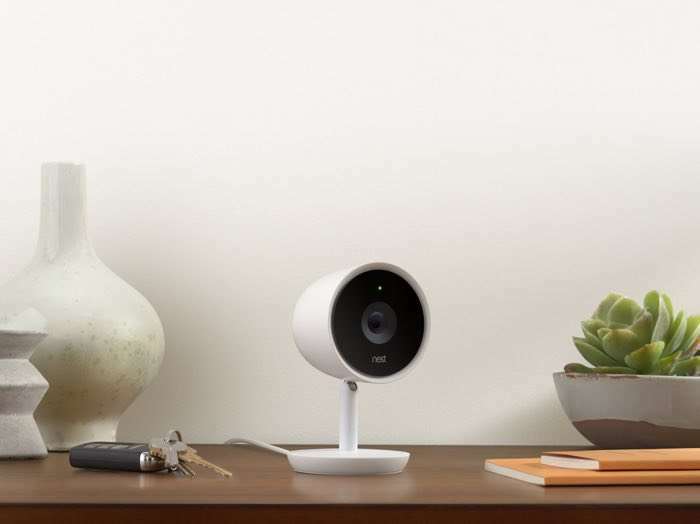 The Nest Cam IQ comes with an 8 megapixel 4K image sensor that features 12 times digital zoom and an enhance feature to show high quality video when zoomed in. Instead of just showing you what’s happening, Nest Cam IQ is smart enough to differentiate between a person and your cat and can alert you accordingly – with no subscription required. When it detects a person, it can send a person alert to your phone and will automatically zoom in on and track the person in the frame so you can get better information about who they are and what they’re doing. And with a Nest Aware subscription, you can even get personalized alerts based on who is in the house (e.g. the name of a family member, the dog sitter or a stranger). You can find out more details about the Next Cam IQ over at Nest at the link below, the camera will cost $299 in the US and £299 in the UK, it is now available to pre-order and you can find out more details at the link below.